Please click on 2019 Reunion Survey located on the left and fill out the important survey. 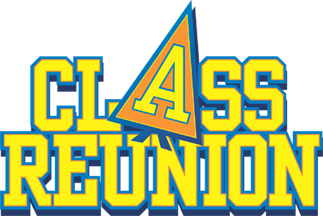 Click on the 55 Year Reunion Information Tab for details! Listed below are Classmates who have incorrect emails and, therefore, cannot receive any emails that are sent out to the class. Only the classmate themselves can change their email address. If you have contact with any of these classmates, please let them know they need to change their email address in the system if they wish to continue to receive emails sent out to the class. Thanks for passing the word! If they need help, they may contact me at Lynnereaton@gmail.com. This FREE to you site was created to promote,celebrate and reconnect with all classmates of Washington Park High School who graduated in 1964, or not quite, moved away and/or finished at another school. Everyone who attended from 1962 to 1964 is welcome here. To join, simply click on "Classmate Profiles" on the left side of this page, click on your name and follow the "JOIN HERE" directions. Be sure to click on "What's New" on the left to see postings from various classmates! Our website is a work in progress so check back often for updates! If you have any suggestions, corrections, info you think should be posted, etc., please let us know. This FREE-to-you site was created to promote, celebrate and reconnect with all members of Washington Park High School Class of '64.